A sponsorship with the Northwest Mountain MSDC will feature your company as an organization devoted to development and growth of minority-owned businesses in our region. 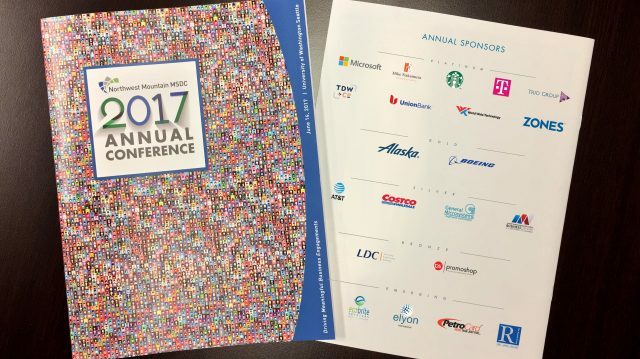 You will gain exposure to leaders in the minority enterprise community and significant engagement opportunities at Northwest Mountain MSDC events. 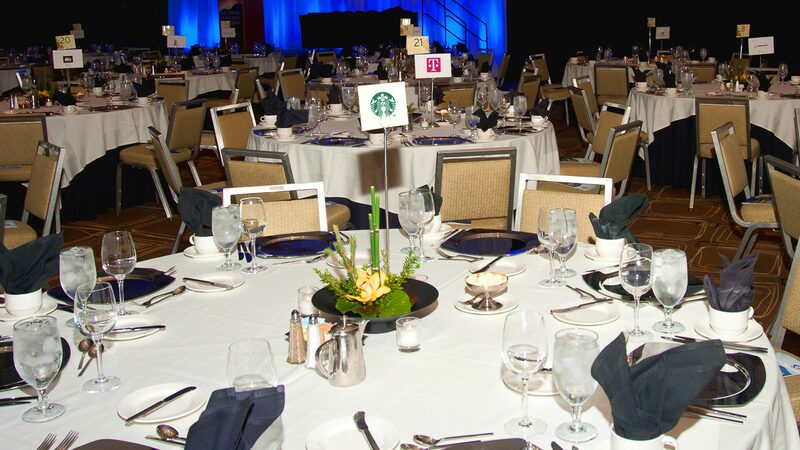 Our sponsors have been able to touch close to 900 stakeholders through approximately 15 events per year. Sponsors have also generated $237,656 in scholarship money for minority business educational programs since 2008. Thank you so much for your consideration! Please know that we are able to work with you to customize any package in order to meet your business goals and objectives. Members, MBEs, and volunteers work tirelessly to help raise scholarship funds for educational opportunities. Northwest Mountain MSDC Annual Report tells our Council’s story. As a nonprofit organization, the Northwest Mountain MSDC is obligated to produce an annual report. More importantly, we produce and distribute the annual report to all of our stakeholders to communicate effectively, demonstrate the value we deliver to our members and certified minority businesses, and position the Council to meet any level of scrutiny (fiscal, operational, strategic) required by any of our members. As a sponsor of the annual report, your company’s branding will be incorporated into the report. The function of education is to teach one to think intensively and to think critically. Intelligence plus character - that is the goal of true education. - Martin Luther King, Jr.
Every year, the Northwest Mountain MSDC awards over $25,000 in scholarship dollars to minority-owned businesses, primarily as a result of donations received at Council events and fundraisers. Over the last 9 years the Council has provided over $235,000 in Minority Business Scholarships. The University of Washington is well positioned to offer minority executive education programs due to the Consulting & Business Development Center. 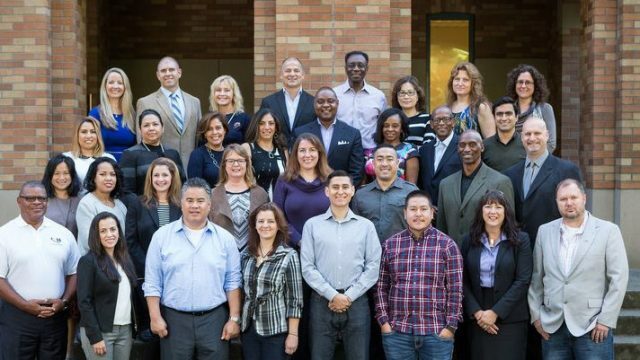 For ten years, the Center has linked students, faculty, and staff from the UW Foster School of Business with a racially and ethnically diverse business and nonprofit community to expand students’ knowledge and skills, help small businesses grow, create and retain jobs, open educational opportunities for under-represented minority students, and stimulate innovative economic development research. Executive Education and the Consulting & Business Development Center have created a strategic partnership with the Northwest Mountain Minority Supplier Development Council (NWM MSDC) to launch the Minority Business Executive Program (MBEP) which has been designed to increase the competitiveness of Minority Business Enterprises (MBEs). For more than 38 years, Northwest Mountain MSDC has been an advocate for minority businesses by working with corporations and public agencies that understand the importance of having a diverse supply base that reflects their customers, as well as today’s global economy. The organization currently serves the states of Alaska, Idaho, Montana, Oregon, Utah, Washington and Wyoming. A major component in launching the MBEP is the generous financial support from our Founding Corporate Partners: The Boeing Company, Microsoft Corporation, Nordstrom, Inc., and Zones, Inc. Their financial support and expertise allowed for the development, specialization and launch of this program. The Foster School of Business wishes to acknowledge and thank them for their support. 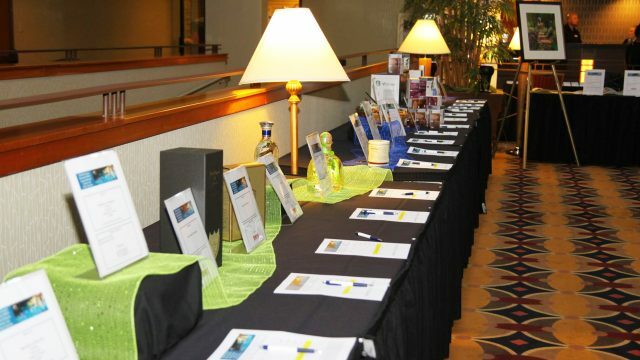 Donations to the Council Silent Auctions support continual funding of the Scholarship Fund. In addition to a sponsorship you are invited to donate to our silent auction. 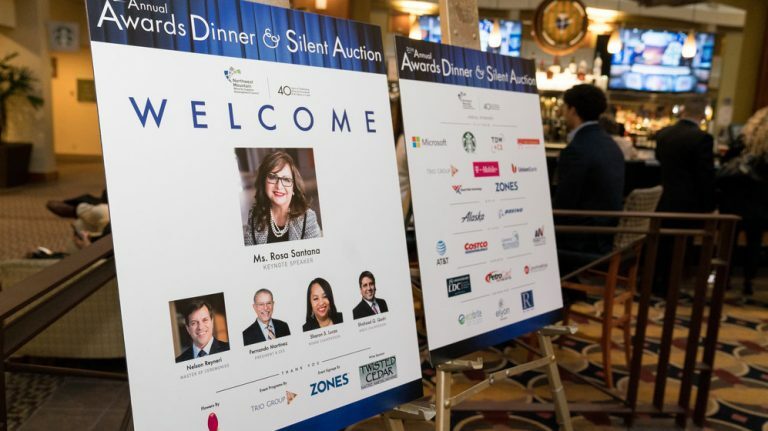 There are 300 business leaders in attendance at our Awards Dinner & Silent Auction each year. Silent auction donors are listed in the program for the event.